The First British Screenwriters’ Awards was a modest event and took place in October 2013 where we gave a best newcomer award to Eran Creevy, presented by Joe Eszterhas of 'Basic Instinct' fame. 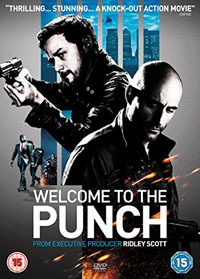 Eran Creevy for 'Shifty' and 'Welcome to the Punch'. 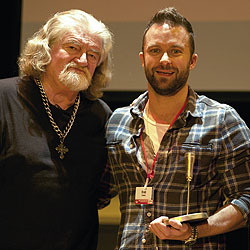 The 'Icepick award' was presented to him by Joe Eszterhas.